Paul J. DeCologero at the United States Penitentiary Hazelton. Paul J. DeCologero, who has emerged as a suspect in the murder of James “Whitey” Bulger, never crossed paths with the notorious Boston gangster before his arrival at a West Virginia prison this week, but there was bad blood between their families, DeCologero’s brother said Friday. In a telephone interview, Derek Munro initially said DeCologero, his older brother, had “no motive” to kill Bulger. But hours later, Munro said his uncle, Paul A. DeCologero, had just called him from the Kentucky prison where he is serving a life sentence for murder and claimed that Bulger once had a contract to kill members of the DeCologero family. The Federal Bureau of Prisons was urged last month to remove combination locks from all cells at the USP Hazelton prison in West Virginia where James “Whitey” Bulger was killed. Paul J. DeCologero was a member of the so-called DeCologero Crew, headed by his uncle, Paul A. DeCologero. Members of the crew robbed rival drug dealers and in 1996 killed and dismembered 19-year-old Aislin Silva because they feared she was going to cooperate with authorities. Paul A. DeCologero could not be reached for comment, and the cause of the bad blood between Bulger and the DeCologeros is not clear. Munro said his brother, who is serving a 25-year sentence for racketeering and a conspiracy that led to the 1996 murder of Silva, has three children and is looking forward to his release in 2026. The other suspect in Bulger’s killing, Fotios “Freddy” Geas , a Mafia hitman from West Springfield, is serving a life sentence for two murders. Federal authorities suspect that DeCologero, a member of a feared North Shore organized crime group, and Geas savagely beat Bulger to death in his cell Tuesday morning with a padlock stuffed in a sock, according to two law enforcement officials with knowledge of the matter. 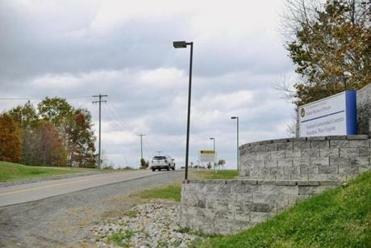 The attack occurred within 11 hours of Bulger’s arrival at the US Penitentiary Hazelton in West Virginia. Surveillance video captured DeCologero, 44, of Lowell, and Geas, 51, entering Bulger’s cell around 6 a.m., several law enforcement sources said. Bulger was found badly beaten in his cell about two hours later. Law enforcement officials said Geas has admitted he attacked Bulger, but claims he acted alone. Both men remain on lockdown. No charges have been filed. Bulger’s slaying has raised questions about why US Bureau of Prisons officials transferred Bulger, 89, from Florida to Hazelton, where two other inmates were slain in recent months, and placed him in the prison’s general population with other inmates with Massachusetts organized crime ties. Munro said his brother had no ties to Bulger, a longtime FBI informant serving a life sentence for participating in 11 murders while running a sprawling criminal enterprise from the 1970s through the 1990s. Bulger arrived at the federal prison Monday night. Munro said he sent his brother an e-mail earlier this week to tell him that their grandfather was in hospice and might not live much longer. He said DeCologero e-mailed him back at 10:51 p.m. Monday, saying he would try to call but that prison officials were not letting inmates use the phones. Shelley Murphy can be reached at shelley.murphy@globe.com. Kevin Cullen can be reached at kevin.cullen@globe.com.